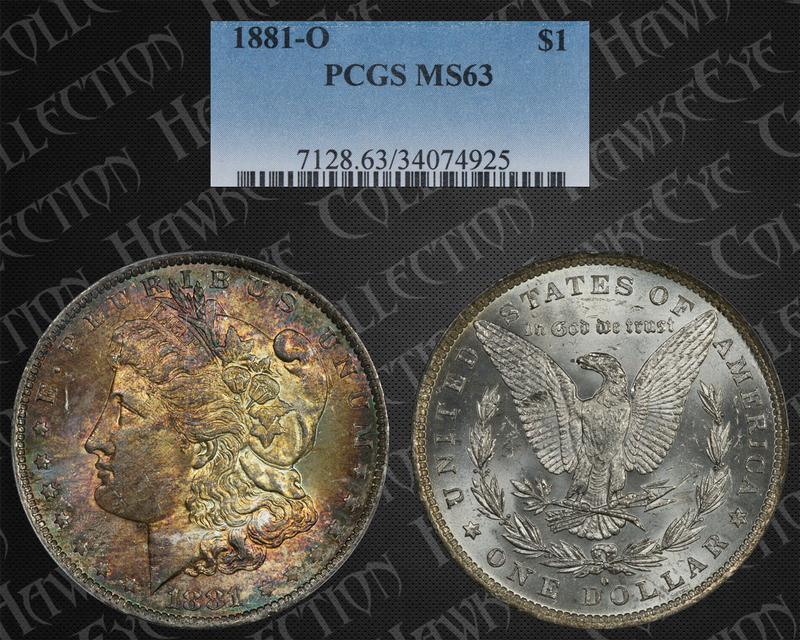 Comments: This is a coin that PCGS could have chosen to no grade because the toning on the obverse is so dark that grade can be difficult to determine. But the reverse is easily read and in nice shape. But the image with the color dropped out shows that they got it right. 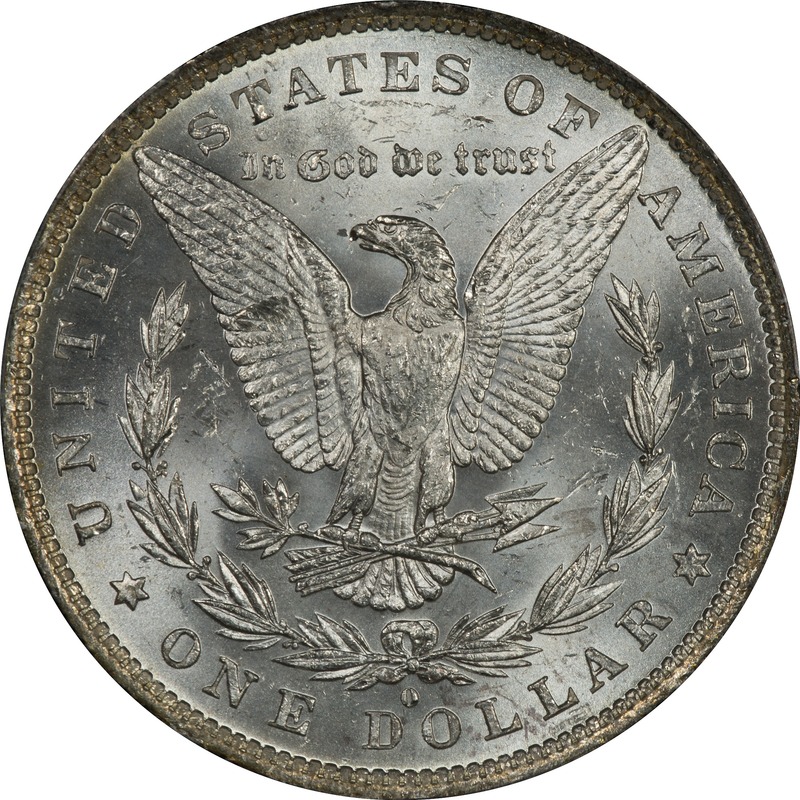 The coin might, or might not appeal to you because of the strong colors and what we believe to be additional damage from water or moisture. This is a solid New Orleans coin. We know it stayed in the Mint, so the obverse toning and moisture damage must have come from prolonged exposure to both bag and moisture. 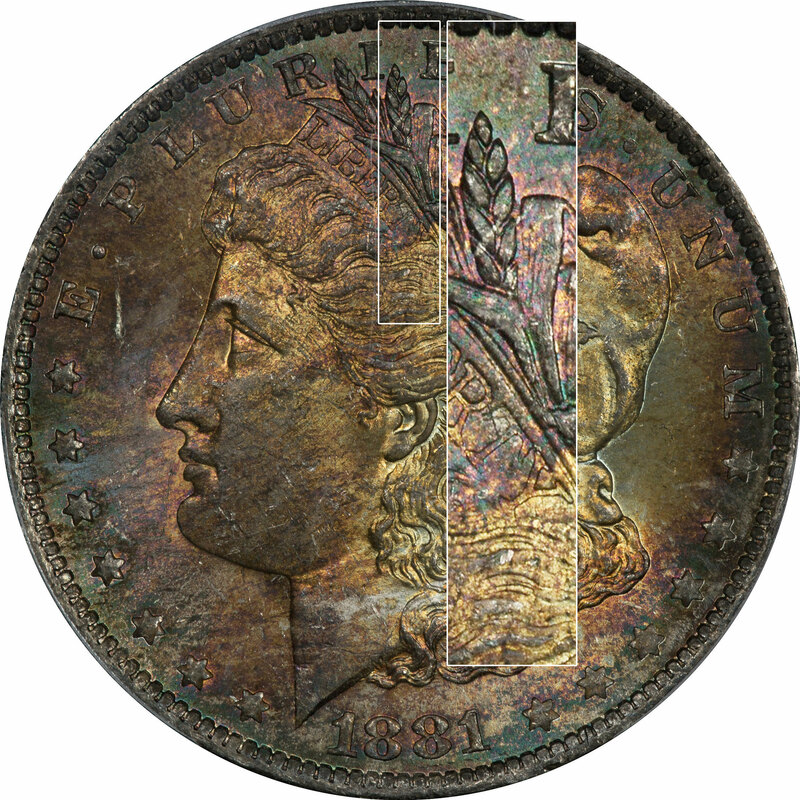 The moisture damage on the obverse makes the color determination difficult. We have lightened the cross section of the coin to improve the visibility of the colors. We think this is in the third cycle of toning with emerald greens, blue-greens, magentas, and golds. But the darkening from extended exposure makes this difficult to say for sure. Even though dark, this is a great teaching tool since it helps understand what prolonged moisture exposure can do to the coin's surface.